RUSSO'S FRESH LOCAL, DOMESTIC IMPORTED PLANTS AND FLOWERS ARE AVAILABLE DAILY. PRODUCTS INCLUDE FRAGRANT LILACS, AZALEAS, RHODODENDRONS HEWS, MOUNTAIN LAUREL, JAPANESE ANDROMEDA, FLOWERING TREES, FRAGRANT FLORIBUNDA ROSES, HERBS (ORGANIC) PERENNIALS, ANNUALS,VEGETABLE PLANTS, GERANIUMS, MANDEVILLA, HIBISCUS, PATIO PLANTERS,WINDOW BOXES, HANGERS, ORGANIC SOILS, MULCH AND MUCH MUCH MORE. Organic Premium quality apples $1.89 lb. 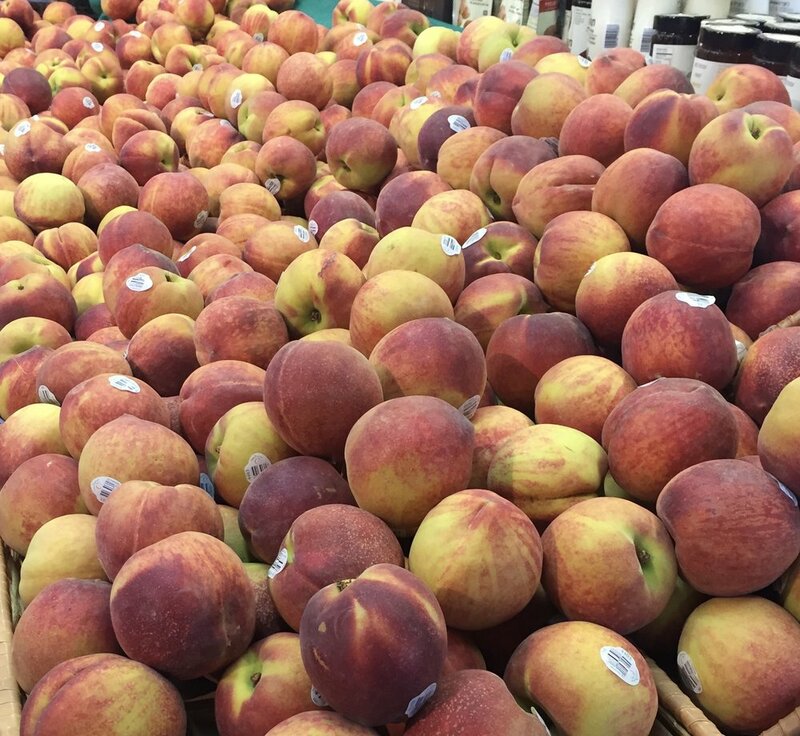 Fresh extra fancy fresh picked Carolina peaches $2.49 lb. Fresh firm flavorful on the vine and hot house beefsteak tomatoes $1.98 lb. Tender flank steak sliced and dressed with chiffonade basil and balsamic $15.98 lb. Barbecue spare ribs $10.98 lb. Honey bee goat gouda imported from Holland, slightly sweet cashew nutty flavor $11.98 lb. Boerenkaas, the famous raw cow’s milk cheese from Holland - the cheese the Dutch try keep to themselves. Some consider this the perfect table cheese $12.98 lb. Thumann’s hickory smoked turkey breast $10.49 lb. Ferrarini mortadella with pistachio nuts imported from Italy $5.98 lb.